More organizations are moving away from paper-based visitor sign-in sheets to cloud-based visitor management systems like The Receptionist for iPad. 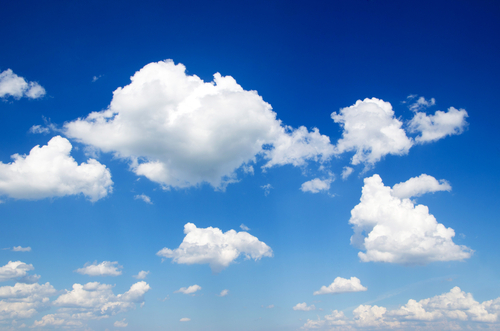 Here are five reasons to take your visitor management into the cloud. Paper visitor sign-in sheets may seem simple, but they’re really not. If you still have one, flip through it. How many of the entries are incomplete or illegible? And what happens to those sheets of paper when the book is full? When’s the last time you actually used this information or transcribed it into a spreadsheet? With a cloud-based visitor management system, your data entry responsibilities are reduced to none. Your visitors enter in their information, the system stores it, and you’re done. Paper visitor sign-in sheets are not secure. Anyone looking at the book can easily see who else has been to your office (in some cases, it might be their competitors!). With a cloud-based system, only you have access to your visitor logs. The identity of all of your guests remains confidential. When you buy software-as-a-service (SaaS), you always have the most up-to-date version of the application. You don’t have to buy and install a new version every year or so, and you never have to perform software maintenance. New features, updates, and patches are sent automatically to your app. Software-as-a-service is both more flexible and more affordable than an installed solution. 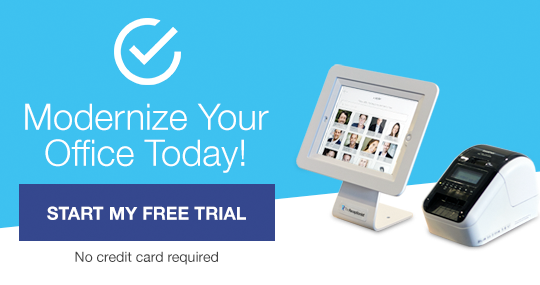 You can test drive the software during a free trial and pay on a monthly or annual basis. With no commitment, you are free to select the solution that best fits your needs. You don’t have to sift through sheets of paper or be sitting at a specific computer to see who was in your office. With a cloud-based visitor management system, you can access your data from anywhere — all you have to do is login to your account. This feature is especially useful in case of an emergency. With a cloud-based app, you can identify everyone who was in your office and, if necessary, make sure they got out. The Receptionist for iPad is the most versatile, effective, and easiest-to-use cloud-based visitor management system available. To learn more, download our pdf: 10 Ways The Receptionist for iPad Will Transform Your Office.